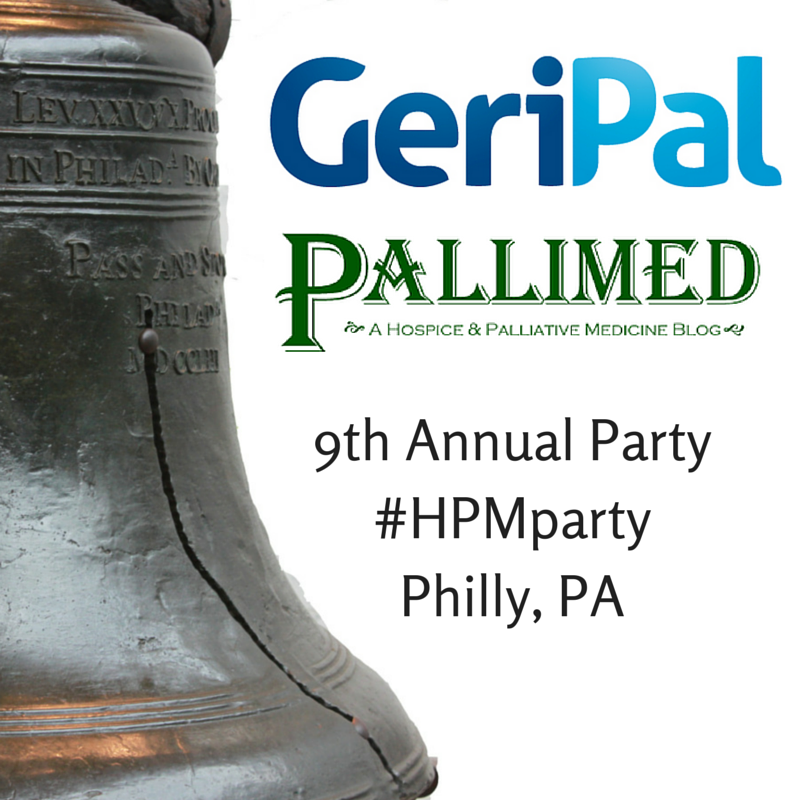 Time to gather your peers and join fellow readers of Pallimed and GeriPal for our annual party at the Annual Assembly of AAHPM, HPNA, and SWHPN. Since the last two years were such a success with the progressive party we will be doing that again this year. We will begin at McGillin’s at 8pm. After that follow the hashtag #HPMparty or our Facebook event page where we will be posting updates on the next location. Please note that I will have bottle of thickener for all who have not yet taken the #thickenedliquidchallenge.